I’m super proud to appear on this article published on the national weekly magazine IoDonna. 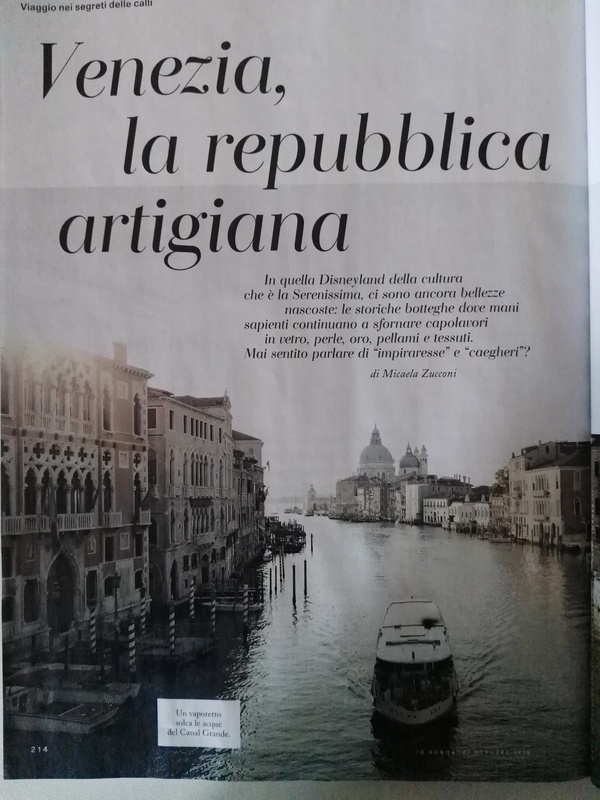 Micaela Zucconi on her article wants to put a spotlight on some master artisans that still believe in Venice and want to keep it alive. There’s something you can do too: be curious, prefer handmade, look for excellence.